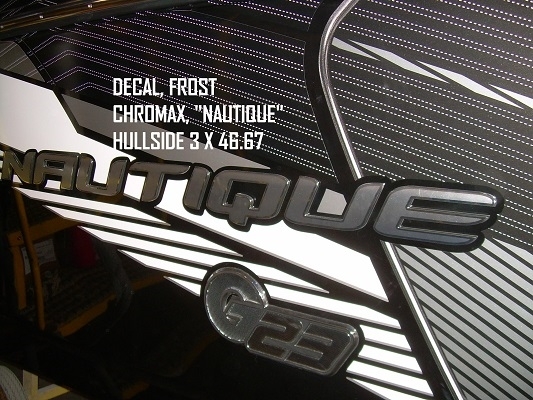 This is the "NAUTIQUE" hullside decal in chromax. It is used on the G23 and G25. This is for one side only.